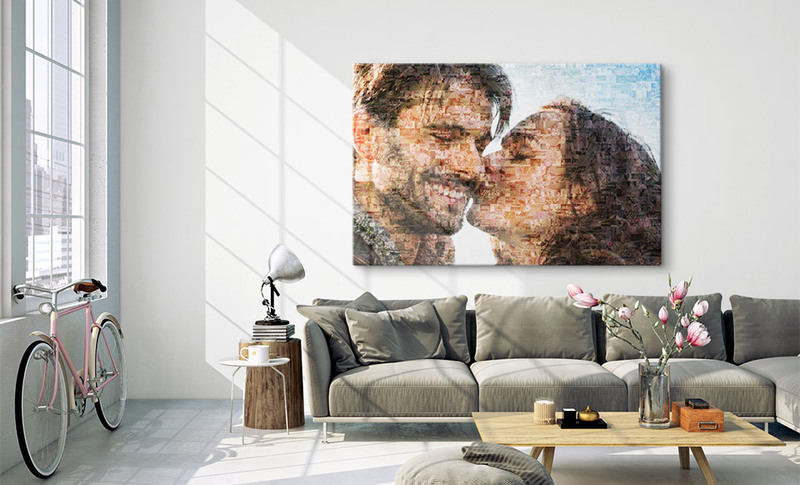 Mosaic pictures - up to 1000 Photos & FREE delivery! 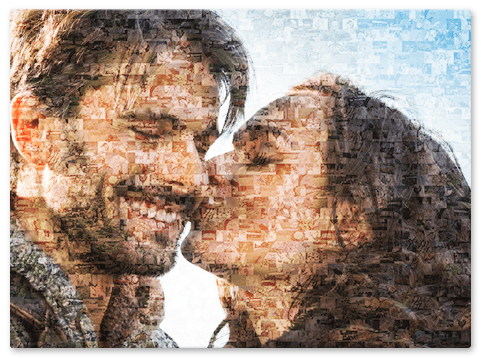 Mosaic pictures are a popular way to create something unusual from your own photos. The finished mosaic as wall art is especially appreciated when it comes as a gift. After all, the mosaic picture is made up of up to 1000 little photos that tell a story. The many little photos allow the viewer to discover more new details again and again, even after a long time. Creating a mosaic pic is very simple. 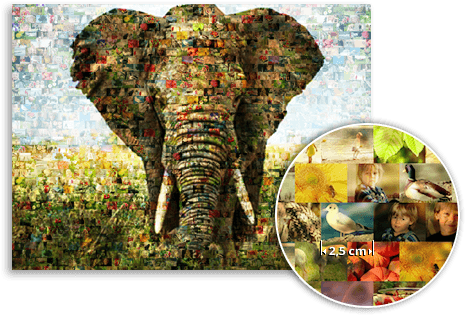 Up to 1000 small pictures can be uploaded for one big image. From these, we make two versions of your mosaic. If you like one or the other mosaic, you can then purchase these mosaic pictures uk. But just watch out for production time, because before you have your mosaic picture in your hands, it has to be printed and dispatched. 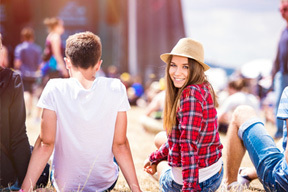 First upload your main image for your mosaic picture online – this is the image that will be depicted large in the finished product. Now we can start building your mosaic picture! This can take up to 24 hours. Finally, you can purchase your mosaic picture. Delivery takes 1-3 days.